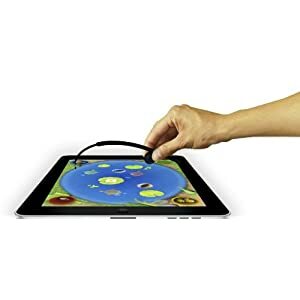 As you will see from my previous post we love the ipad in our household so when I was asked to review the new Jumbo Games iPieces Fishing Game I just couldn't refuse. The ipieces fishing game is based on a little game we all probably had as youngsters. It was a small electric toy which looked like a pond and in that pound were several little holes which you placed plastic fish in. These plastic fish had magnets in their mouths and you had a plastic fishing rod with a magnet at the end of it. When you hit the 'on' button the fish would be pushed upwards thus causing their mouths to open so you would have to quickly get your fishing rod in their mouth to catch the fish. All very exciting when you're a child and I have very fond memories of this game so I've got high hopes for the ipieces game! I do love a gadget or anything techy to investigate so couldn't wait to test it out with my son and the other half. The game comes in a handy little plastic box, and when I say 'the game' I mean the tools to play it with as the game itself is ofcourse an app and can be downloaded free of charge from the apple app store. A quick search and up comes the app for the ipieces fishing game so pretty easy to locate. 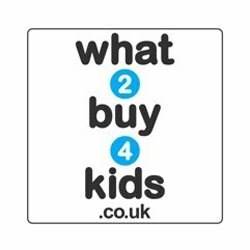 It takes a few minutes to download though which might not help waiting toddlers so maybe best to download it first before telling them you have a new game to play! As you will have guessed by now this is a fishing game so included in the box are 4 little plastic fishing rods and some instructions, although you don’t really need the instructions as once downloaded, the app tells you how to play the game properly. This is a very simple and easy game to play, you simply click start, then click on the number of players (you can have up to 4), then for each player there is a colour which corresponds to the colour of a fishing rod; either blue, green, red or white. You type in the players name next to the colour, hit return and away you go. You win by catching the most fish, exactly the same as the little game I had as a child only this one is virtual. So to catch a fish you hold the coloured end of the fishing rod on the screen over the fishes mouth when it opens and carefully drag the fish to your bucket. You have to navigate a big scary fish in the pond (I think it's a pike) who tries to knock the fish off your rod and also some lily pads - these stop you from getting past and help the big scary fish catch you. One other threat to your bucket of fish is the Stork. This bird will steal fish from your bucket and the only way to protect your catch is by placing the coloured end of your fishing rod over your bucket. It's all very easy to do and after having a go once it'll be simple to remember for next time. The graphics are basic but still good and very colourful which will be helpful to capture the attention of the younger generation and there's a few little animations in there as well to keep them guessing. There were a few things that were disappointing about the game and one of these was that the game didn't seem to last very long. It felt like only a minute and the game would finish so it probably could be a bit longer to keep the kids more involved. I also found the game quite slow which is fine for a 2 year old but for someone who's aged 5 it might get on their nerves a bit, although saying that my son is only 2 and found it to be frustratingly slow for him and he got bored after only one game. 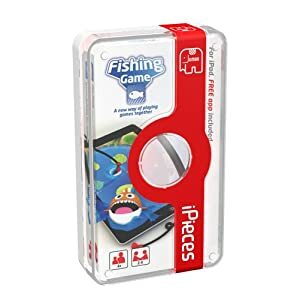 You can purchase the Jumbo Games iPieces Fishing Game from Amazon RRP £9.99. Overall the game is very cute and took me back to my childhood however it didn't hold my child's attention very well. I suppose it is for kids a little older than him but one things for sure I don’t think it's worth £9.99 and I would not pay this for it unfortunately. I think £3.99 to £4.99 is more appropriate but certainly not £9.99. It's a good concept and something different to playing a normal board game however I think the old fashioned way of playing this game is far more exciting. 4 comments on "Review: Jumbo Games iPieces Fishing Game for iPad"
Find out more about Bicycle Jumbo Playing Cards and see if they are right for you at this time. Learn more about Bicycle Jumbo Playing Cards and enjoy the article.